Spooky chocolate fudge muffins. Another idea for Halloween! The search for simple Halloween-themed recipes continues this week with delicious chocolate fudge muffins topped with a chocolate cobweb pattern. I found the original recipe for these chocolate fudge muffins on the BBC goodfood website. I’ve described the order in which I put the ingredients together, which is slightly different to the original. 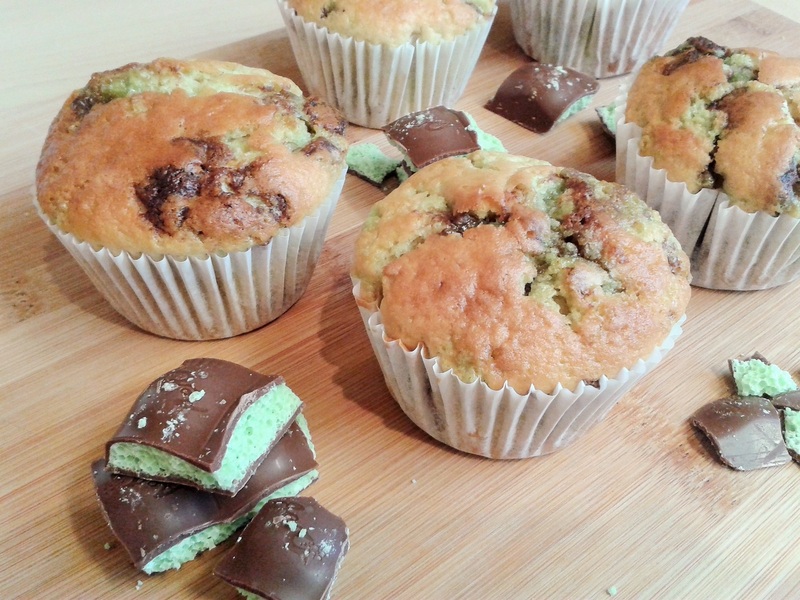 Delicious, easy-to-make After Eight mint chocolate muffins! My only tip for this recipe would be to make sure to keep some chocolate out of the mixture and pop it on top of each muffin before they go in the oven. Most of the chocolate will sink to the bottom of the muffin, so don’t skip this step if you want a better distribution of After Eight mint chocolate and some on the top. Wait! There’s more. Click for the recipe and more photos! The fluffy goodness of a blueberry muffin, large enough to share! I found the original recipe for this blueberry muffin cake over at Fine Cooking. I made a couple of small changes to the recipe and converted the weights so hopefully you’ll all be able to use them whatever measurement system you use. I also added a step if you want to make sure you get a crunchy, genuine muffin top on the cake. Because single chocolate muffins just don’t sound as good! I got the original recipe from an old copy of Sainsbury’s magazine. I used dark chocolate chunks, but you can use a mixture of dark and milk or just milk if you prefer. I also simplified the recipe slightly, just mixing all the chocolate into the other ingredients in one go, rather than adding pieces in an additional final step before putting the mixture in the oven – anything to make things easier! Yes, you read that right. These muffins are also jam doughnuts! I got this recipe from my Mum’s folder of various recipes she’s cut from magazines. Fortunately, as this came from GoodFood Magazine, it’s also available online. You can check it out here. However, the online version only gives metric weights and measures. I’ve given both metric and imperial here below. I finally managed to bake muffins with a crunchy topping! I usually base my decisions about what to bake on the ingredients I have in the cupboard and need to use up. Last week I made oat and pecan squares and, after the first tray vanished rather quickly, I wanted to make another batch. But this time I decided to vary the recipe to use hazelnuts instead of pecans. I had the hazelnuts weighed and chopped, ready to go. And then my toddler distracted me and the oat squares went into the oven without any nuts in the mix at all. I got the basic muffin mix recipe here (although it’s for choc chip muffins) and then introduced my own variations. It all started when I realised I still had a packet of 4 Snickers bars in the cupboard which my Mum gave me a long time ago. I Googled “Snickers muffins” to see if I could find a recipe and couldn’t. 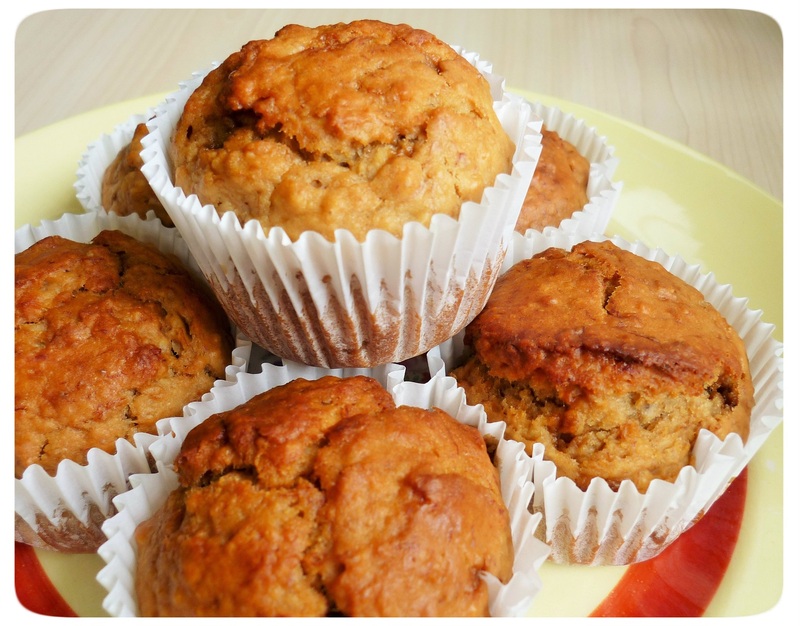 But I did find a recipe for Mars Bar muffins so I just adapted that! Making the most of the delicious combination of chocolate and orange, these cakes are easy-to-make and fun for kids of all ages. Wait! There’s more. 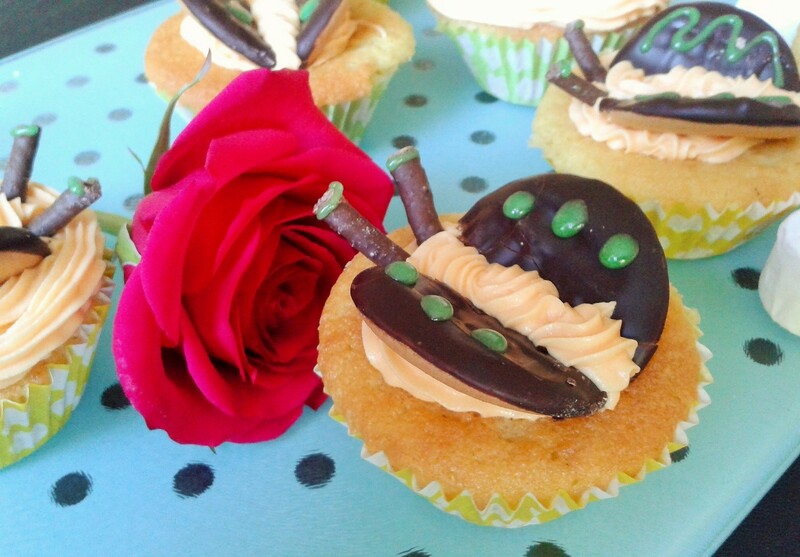 Click for the recipe and more lovely photos! A perfect breakfast muffin. Satisfyingly chewy and not overly sweet. (Also good for using up over-ripe bananas and excess peanut butter).